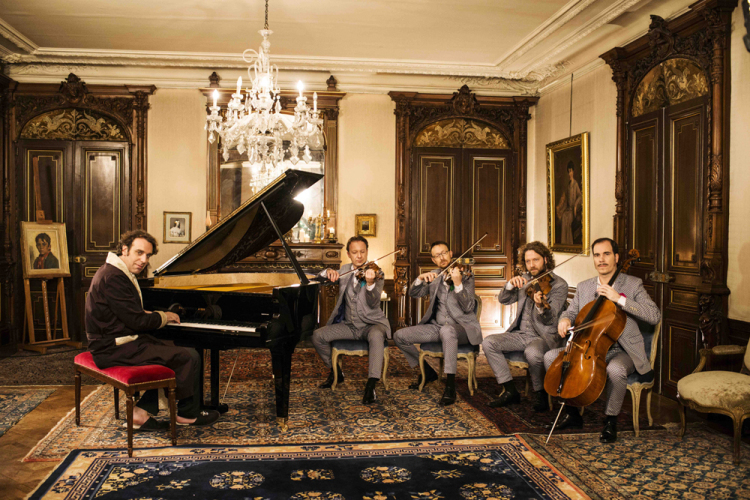 A fter 17 years in Europe, Chilly Gonzales will be coming back to Canada for the final shows on his Chambers tour with Kaiser Quartett, before he takes a yearlong sabbatical to focus on new musical and conceptual ideas. Toronto will greet him at Massey Hall on February 5th, followed by Montreal (Place des Arts, Feb. 8) and Chilly will continue to play solo shows in Sherbrooke (Theatre Granada, Feb. 11) and Quebec City (Palais Montcalm, Feb. 12). Known by many as a self-declared musical genius, the Grammy award-winning musician spoke with me from Germany about his forthcoming sabbatical, coming home to Canada, the tragic Paris attacks, and musical healing. Coming back from almost two decades in Europe and taking a year sabbatical is a big step, what was the motivation behind that decision? Some personal stuff I don’t want to discuss, but also the sabbatical itself is a way to see how the creative process will feel without these intrusions of adrenaline and manufactured pressure. I’ve always enjoyed the back and forth in the studio, composing, some quieter moments and then of course, the excitement that comes with those few minutes before you get up on stage and the excitement of for example – doing an entire TV show in German, which is a language I have barely managed to scrape together a passing knowledge of over the last few years. Yet, once in a while I find myself in a situation where [there’s] a lot of pressure [and] I’m going to prepare as well as I can, so I can pull off [the] feat. Learning German to be on a TV show is far from the fantasy when I was a kid of what being a musician would be like. 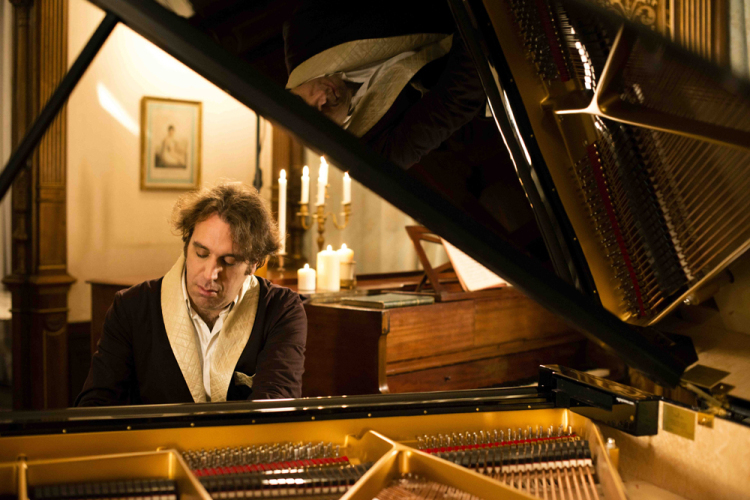 It involved much more time in front of the piano with musicians and I realized that I’m in a position where I feel like I can not hurt my career by taking that time away from the spotlight and I’m curious to see where my brain chemistry goes without adrenaline and pressure. See what kind of ideas I have and ideas that may also have to do with getting out of the cycle of putting out albums and touring. In a way that is very reminiscent of how it was in the 90’s when I began, but doesn’t necessarily hold true today. 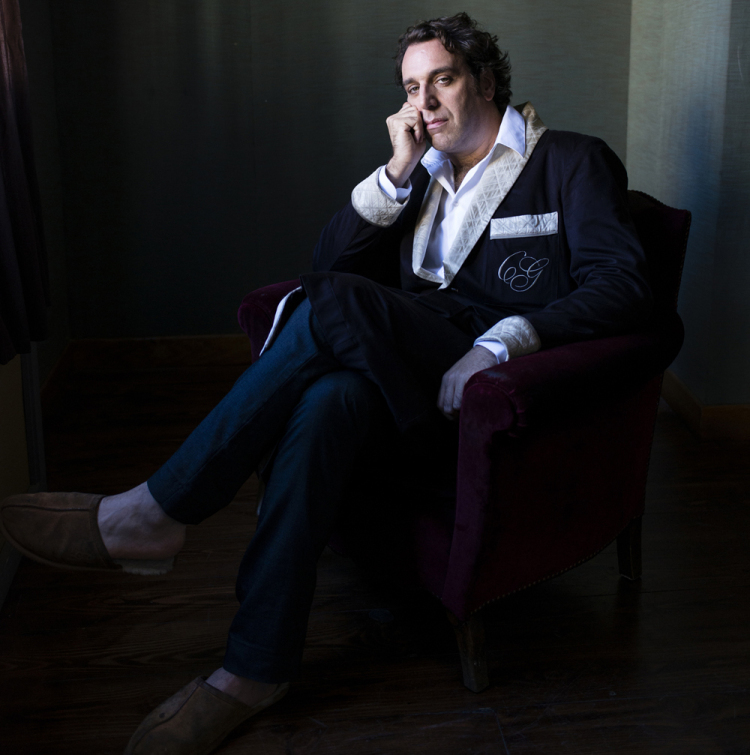 So part of the breather is also to hopefully get some counter intuitive ideas about how to continue to be Chilly Gonzales, but not necessarily to have to do in the way that I’ve been doing it, like you say, for the last almost 20 years. What are the most exciting things for you about coming back to Montreal specifically? It’s about coming home, isn’t it? I don’t know many people who haven’t lived in their home country for over 15 years. It’s a special thing and I think the more time I spend in Montreal and in Canada in general, I feel ready to explore that. For a while it was like no looking back. I think in a way I held a grudge against Canada, because it didn’t give me the career I wanted and that’s the mindset I had back then. It was very much, “what can Canada do for me and why has Canada snubbed me now.” I’m not proud of that viewpoint, but that’s how I thought of it back then. After some years when it started to work, that lessened. You tend to not hold the grudge anymore when you surpass it and you realize that grudge was projection. I was just mad at myself for not being able to make it work. Changing the context can help you approach something in the right way and I’m not convinced it had to be Europe where I had to kick off my career, it might’ve been Canada, [but] I wasn’t ready to try that. I needed to feel that I was taking control and changing the context so that I would have a better chance to get on. Now that it’s been so long since then, I don’t hold any ill will to the music business gate keepers who I felt were holding me back in the late 90’s. Now I’m ready to enjoy on a personal level, being back in the city where I was born, where I grew up and where so many important things happened. I fell in love with music while I was a kid living in Canada. If I could be closer to that, that’s already a win. You’re beautifully fluid in your performances and are seemingly at home on stage. How do you think taking this year sabbatical back in Canada will affect you as an artist and personally? Well we’re going to find out, aren’t we? That’s the whole point. I’ve taken increasing amounts of time off over the last few years, building up to this. I had something like four months similar of a break, in which I composed a lot and I felt that new compartments of my brain were opening up, that previously weren’t able to open up because they were just usurped by suddenly having to jump on a plane and having to do a concert or film some master classes, or whatever it was that requited me to go into this adrenalized, functioning under pressure mode. I’m good at it; I’ve been doing it for 20 years now. I am at home on stage, I don’t get particular stage fright, beyond what I’ve always had – a certain exhaustion, which is actually saving energy for the show. I’m not trying to stop doing concerts, I’m looking forward to getting back. That’s where I’ve always felt I can communicate best with my audience. I’m much better at being on stage than being an album maker, I’ve always felt the album making process to be very imperfect and doesn’t use my skill set nearly as much as a concert does. I can usually convert people if they spend two hours with me in a concert hall, whereas people who are just trying to make sense of my career through the albums are justifiably confused. I’m doing this so I can get more out of the box creative ideas that I feel like I might not get when I’m always trying to catch up with myself, catch the next plane, or count the days until the next plane. You incorporate a lot of teaching into your live performances, on top of your videos and essays. What does teaching music mean to you personally? I look at it more like including people; I don’t like the idea of teaching. I only enjoyed music lessons in as much as a good teacher diving into my brain and finding out what I was attracted to and try[ing] to get to the music through that. That’s what I try to do. A master class is a simple way of just saying okay, if your portal into music is this new hit song by The Weeknd, why not try to use that as the entry point because every pop song, whether consciously or subconsciously, most of the time conscious, is using these wonderful tools. These hidden, invisible things that have to do with what the human ear wants. Generally music tells a story, so there’s lots of different ways for musicians to tell a story… Whenever I hear a pop song that seems to touch me, I try to look behind it and think, why did I feel so touched, why did I feel so moved? Usually there are some technical tools that are being used and that helps me include people on it. I’m not trying to reveal the trick, but maybe just include people in speculating as to what the trick might be. That’s important to me, because I think teaching involves authority and what I do doesn’t involve authority. It’s inclusion and sharing. Do you feel that your new song “(Not A) Musical Genius” was received in the way that you hoped for? I have no idea. Since I started calling myself a musical genius in 2000, I was never fully aware of how people took it. I was aware that it got people talking. That some people found it to be something they really liked about me, that I was wiling to say that, whether they believed me or not [and] whether they thought I believed it or not. However, some people were instantly turned off, [like] you can’t say that. I wanted to get attention back then. I’m a student of people who know how to get attention and it seemed like it accomplished what it was meant to accomplish at the time. I didn’t put it on the Chambers album for a reason. I thought out of context, this piece could just seem woefully trivial and flimsy. I think in the context of my concert, it says a lot about the fact that when we’re on stage, we’re living out of fantasy. I think calling myself a musical genius is not far off from Kanye West having a song called I am a God. No one necessarily thinks he is a God [and] no one necessarily thinks he thinks he’s a god. Do you think that when you talk about how your album recordings come out with more of a UK sound and become more American as you tour here has to do with your inherent connection with your crowd? Audiences automatically change the performance. What I’ve noticed is that because there’s a certain amount of connections I’m trying to draw between the music I was immersed in as a music student – classical and to a lesser extent jazz – [and] watching much music and watching Lionel Ritchie dance on the ceiling, thinking that looks really cool, the idea of trying to draw connections between those two things feels more potent in Europe because it was the birthplace to that. This western, classical jazz approach is an outgrowth of Europeans inventing the idea. The way you speak about music is inspiring and refreshing. Specifically when you speak about musical healing, could you share some of your views on that and some of the musicians over the years that you think have brought that to life? You saw it with the Paris attacks, the unnamed pianist brought his piano to the Bataclan, where the attacks happened, and played a version of John Lennon’s “Imagine”. I don’t particularly like that song, but it has become somewhat of a touchstone because of its lyrics [and] John Lennon’s iconic stature, it all added up and became bigger than music and reach[ed] people. As far as me personally, I would say that we all [as] musicians realize that we get into it because it can be beautiful when you communicate music to an audience and you have that special moment. It’s something we still chase every time we do a concert and sometimes we forget about it, because the origin story of why we become musician is that it brings people together. You can have a moment, like my show in Paris, where you’re reminded in a very direct way that music can be the medium through which people start to feel something important. Less fear, freedom, emotional identification without words, and that’s why instrumental music has always interested me the most. It picks up where words fail. I would go further and say that instrumental music has an even more important role to bring people together, because it doesn’t recognize the barriers of even language, logic, or literalness. You said that you weren’t sure how to match the moment at the Paris show, while continuing to do what you do. You had to change the way that you were going to put the show on and trust your instincts. How do you feel about the outcome? It was very, very intense. For the people there and for those of us on stage, it was very emotionally charged and I was relieved that together with the audience, we found the right tone of the evening. That’s how I began the show, with a short speech saying I don’t know what the tone of this evening should be, I kept thinking about it over the last few days and I realized that we need to find it together. We left the lights up on the audience for the whole show. Usually the audience is in the dark, watching us, but I thought it was an even bigger deal for those people to venture out. To walk into a concert hall felt very different than three days ago. The audience was watching each other and hugging each other, every emotion that I’m capable of channeling musically was there that night. From the melancholy of my solo piano pieces, to the defiance and anger of my rap pieces, to the triumphant defiance of some of the more intense chambers pieces, which are very rhythmic. All of that seemed to suddenly take on extra meaning. Even lyrics I thought were so self obsessed and self-absorbed, took on extra meaning and I realized emotion is emotion. When you express yourself, even if you thought it was something trivial about yourself, If it’s an honest [and] sincere emotion that you’re putting into the lyrics or the music, people will find their own and the resonance. This sudden beating I do on the lower piano in a piece called “Night Moves”, suddenly took on extra significance because it sounded like bombs going off. All of the sudden I had to treat that differently and take a little bit longer for the bombs to fade away, so to speak, and for the sunshine to come back in. To do that in a way that everybody could feel was somewhat of a catharsis, there were many moments like that throughout the show. When the show was done, I was just relieved that it seemed like [the] people there felt like music was back. It did feel like the music was silenced for a few days and that was the take away and that’s why at the end of the show I just started screaming ‘music is back motherfuckers, music is back.’ That’s what we all did together, music couldn’t have just come back with my quartet and me, and music came back because of the spirit of Paris and the people who came to that show. It was a full house, two hours long, many encores and it was a show unlike any other. I had a show booked for three days after, coincidentally, and the question was, do I cancel or not and it became a statement to do the show or not. Usually it’s not so important when you do a show. This time the show became bigger than just me, bigger than just can I win this audience, it became suddenly a statement about what it is to be free to go see a concert. I felt like it had added responsibilities for me to get the mood right so people would leave there going, okay I still feel free to go to a concert and enjoy myself, this hasn’t been ruined by what happened three days ago. That was the first night that the city of Paris even allowed concerts to happen, so there was six or seven concerts happening that night. Some people canceled, some people decided to go ahead. I will say it was the most intense live experience I’ve ever had personally, because for once it was about something bigger than just me and, can I seduce and win over this audience.